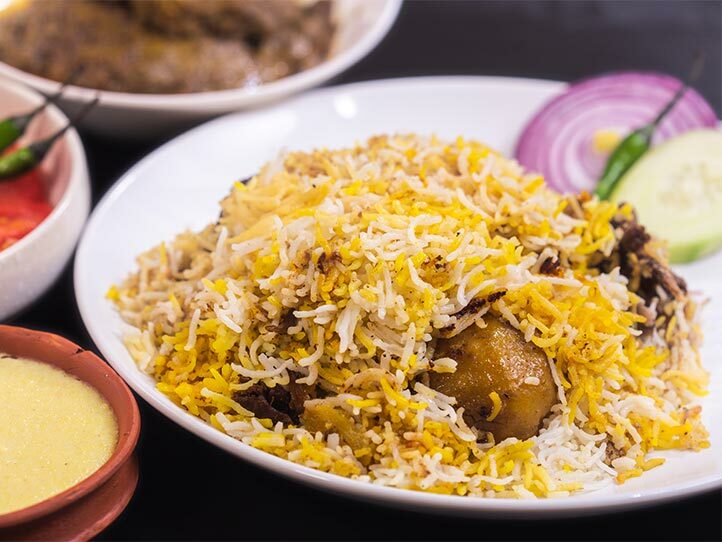 A distinctive biryani full of flavour but low on spiciness and heat. 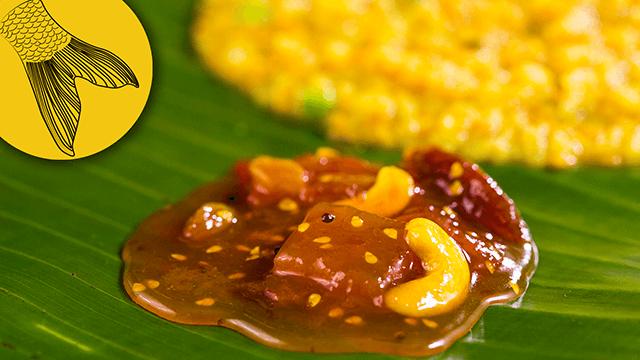 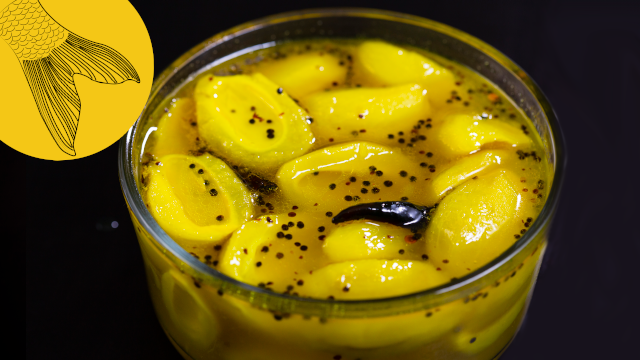 A chilled sweet, savoury and sour watery chutney made from small green mangoes with an added kick of pungent mustard oil. 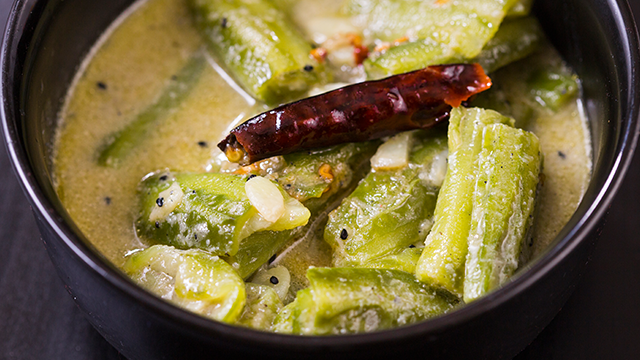 A quick and delicate dal tempered with radhuni, a type of seed that is quite unique to Bengal. 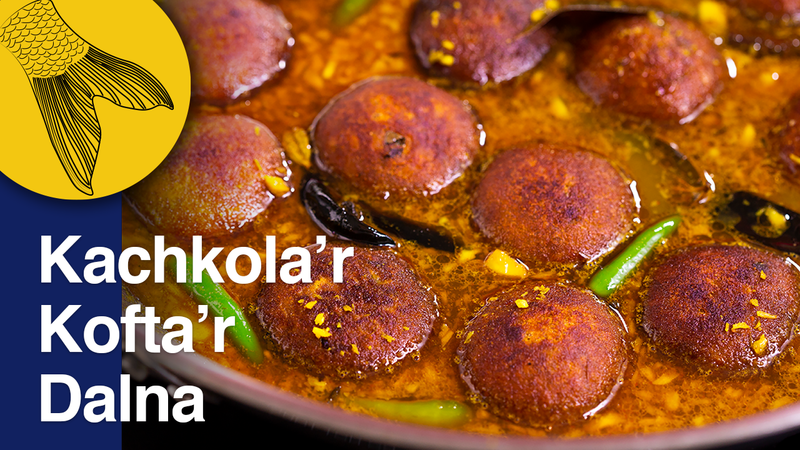 Elegant saffron laden rice koftas—a 100 year old snack from Tagore's niece, Pragyasundari Debi's cookbook. 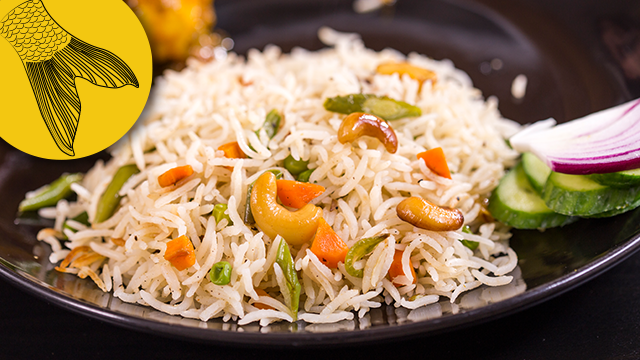 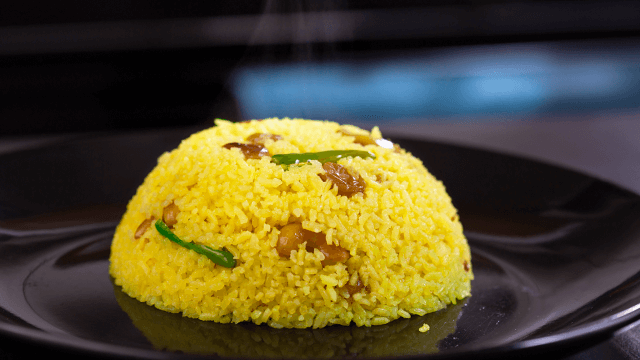 A bright yellow, sweet Bengali polao redolent with ghee and garnished with fried cashews and raisins. 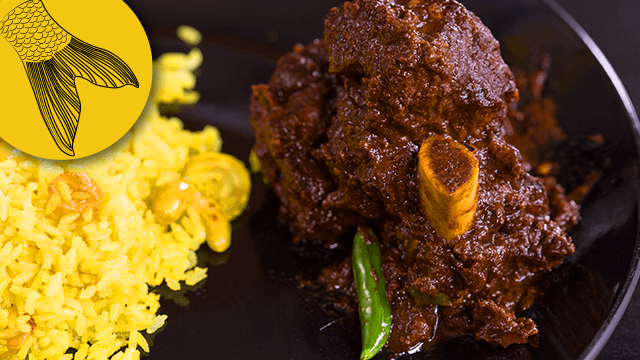 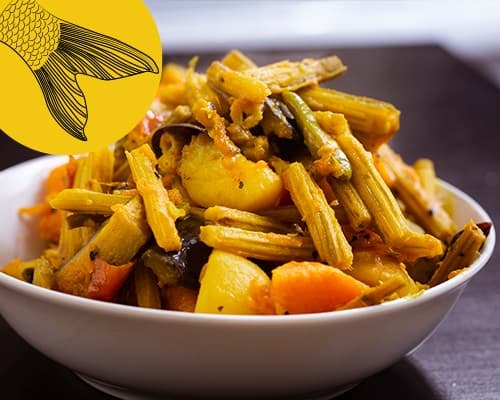 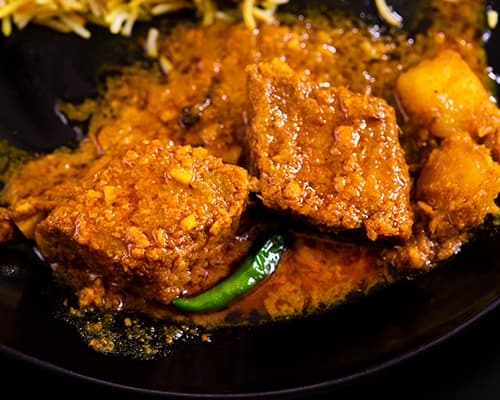 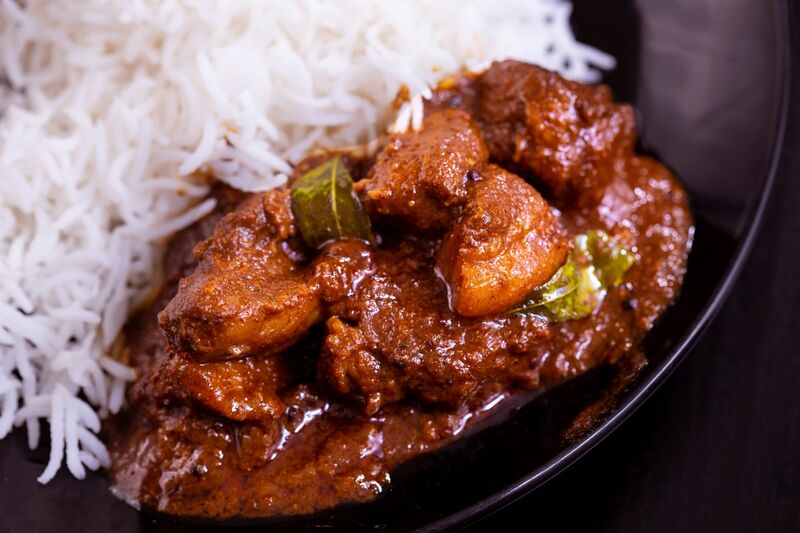 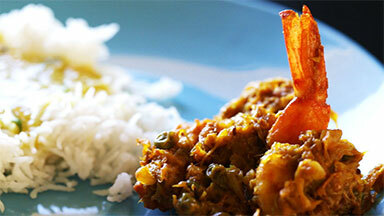 Ridged-gourd stewed in a mild sauce with coconut, green chillies and nigella seeds. 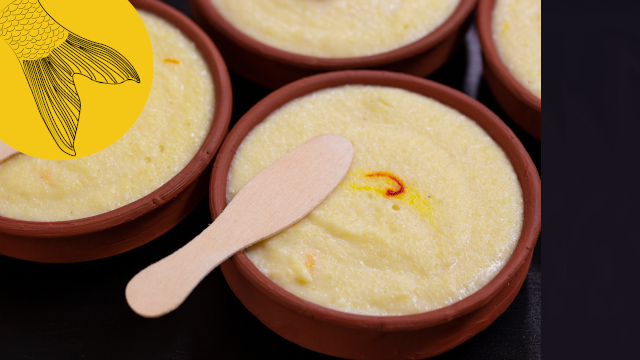 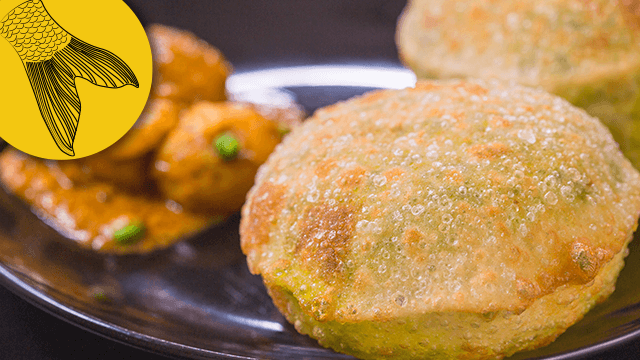 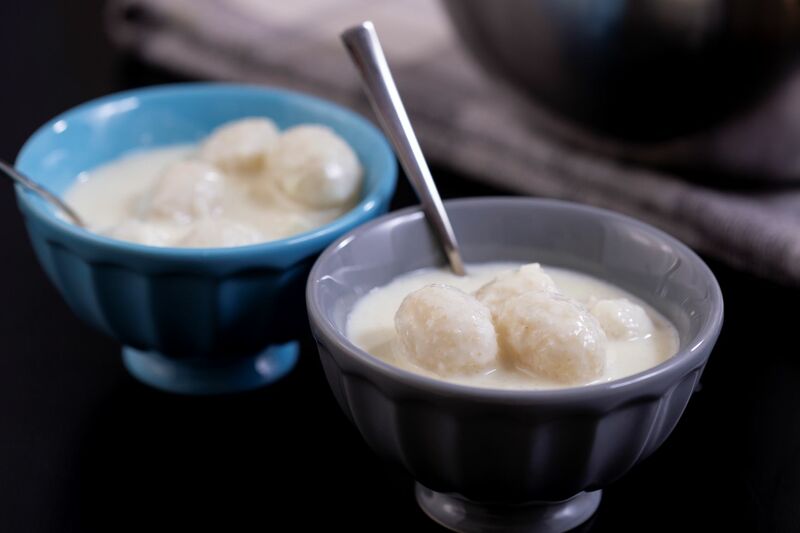 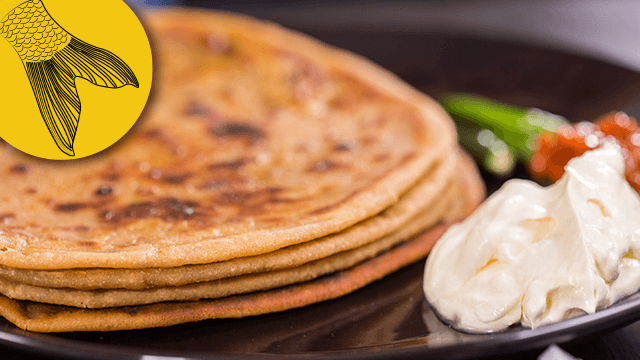 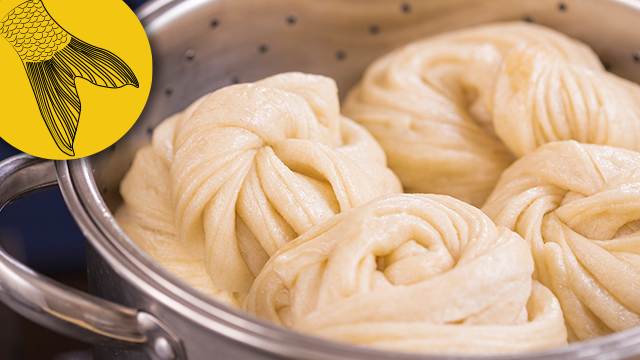 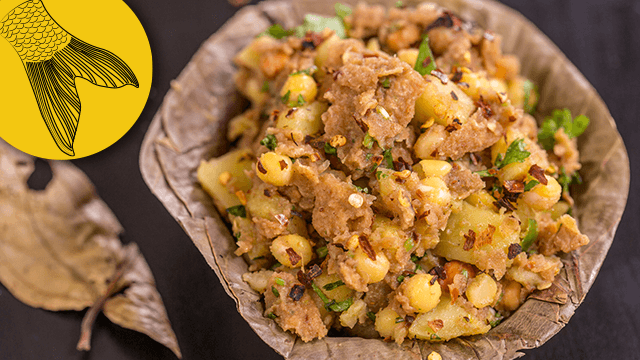 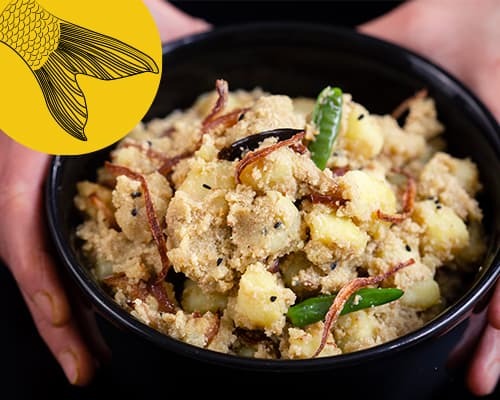 The most most flamboyant sibling of the mashed potato family, aloo bhorta is the easiest and tastiest thing to make with potato. 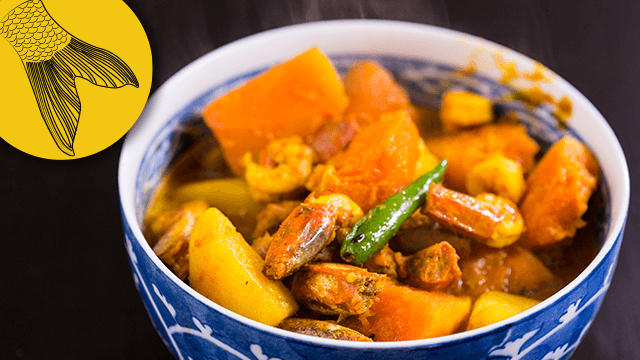 Kumro-chingri’r dalna is a warm, mellow, hearty Bengali-style prawn curry with some nutritious pumpkin thrown in for good measure. 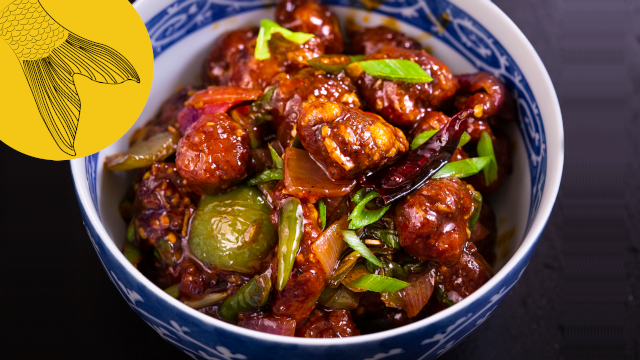 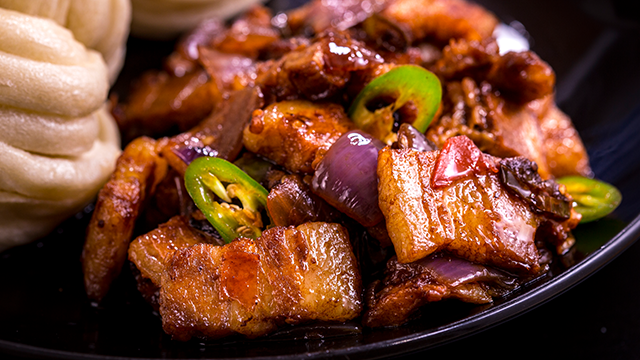 Juicy pork slices with hot chillies in every bite, chilli pork can double as a side dish as well as a standalone snack. 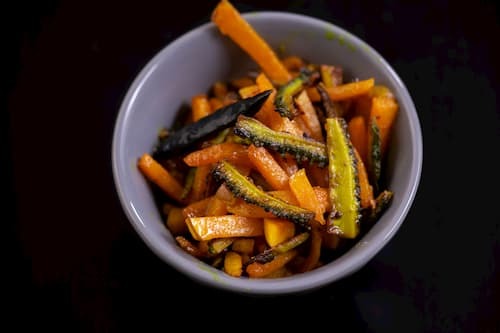 Sweet and slightly tart, the tomato-khejur’er chutney popular at wedding feasts, is easy to make and cooks in under 15 minutes. 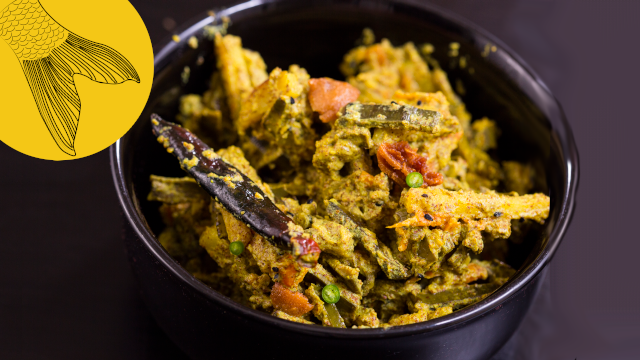 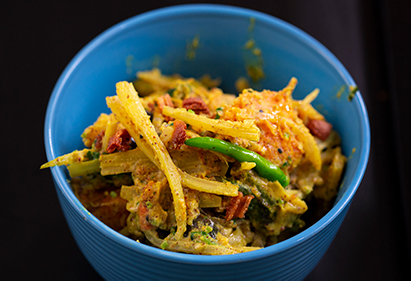 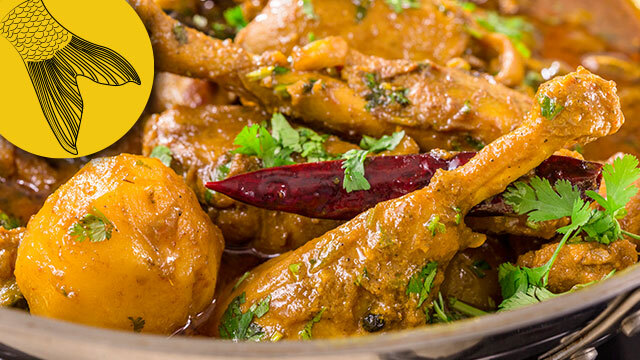 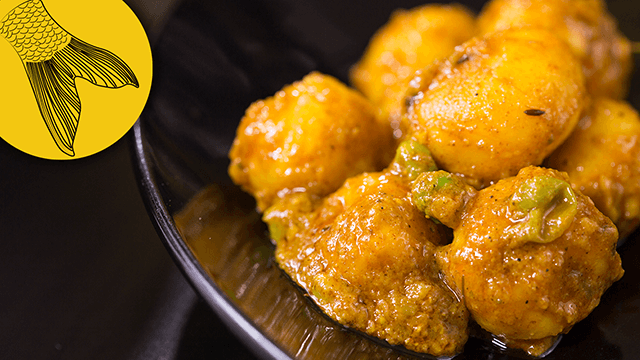 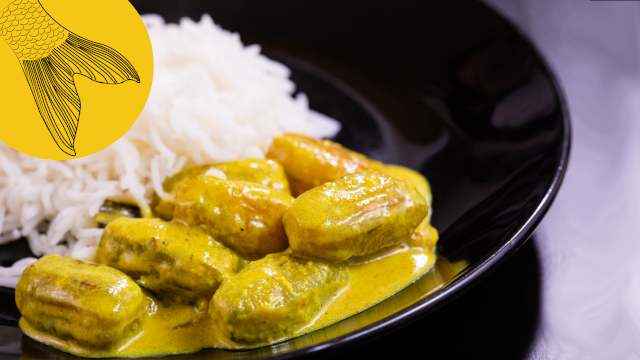 Bengali-style juicy curried new baby potatoes cooked in a savoury, tangy sauce and sprinkled with green peas. 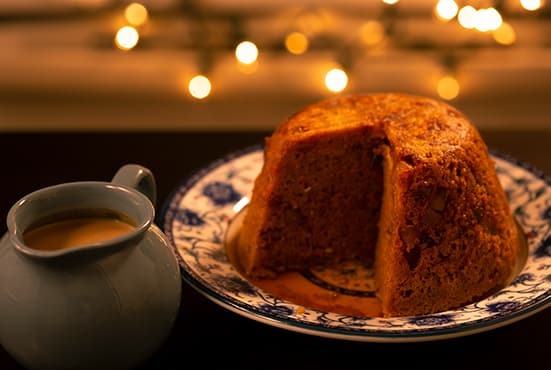 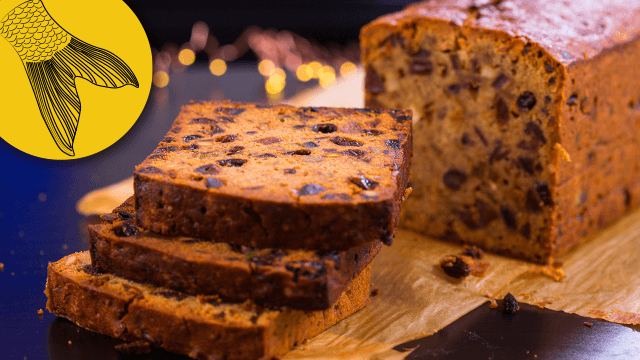 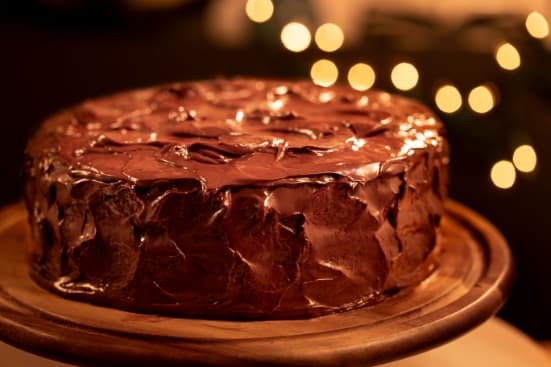 The classic Calcutta fruitcake—a fixture in many homes around Christmas-time—is a rum-soaked, fruit-and-nut encrusted indulgence. 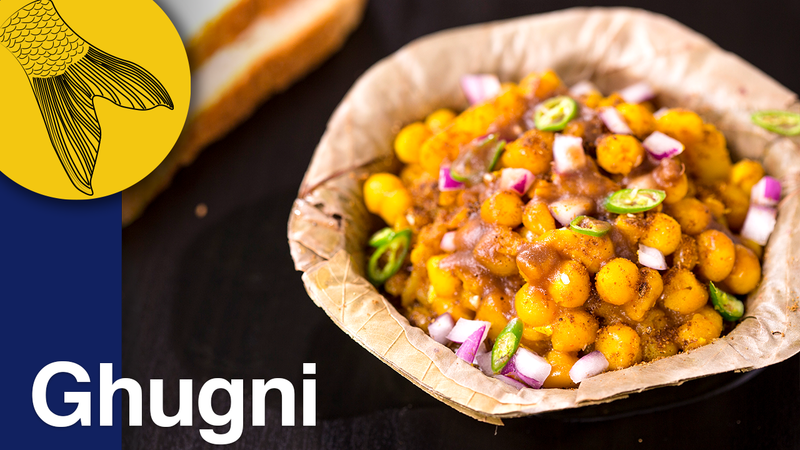 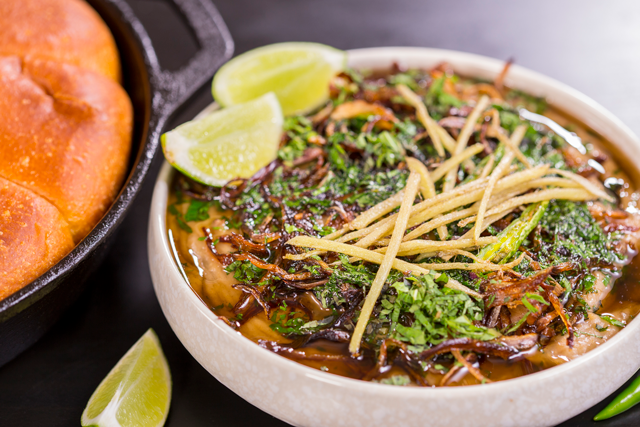 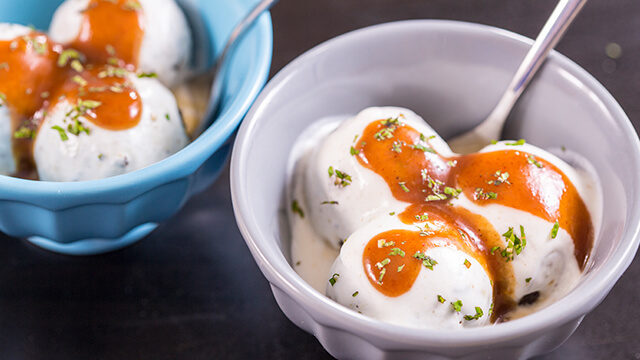 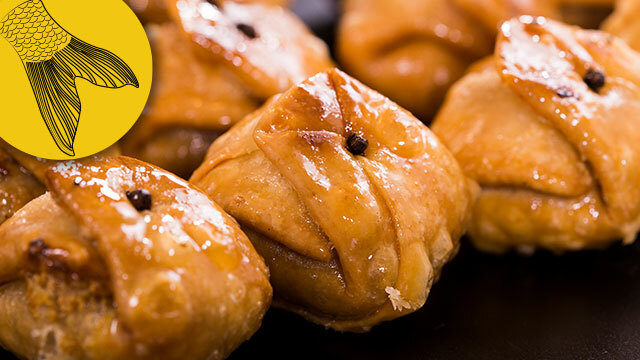 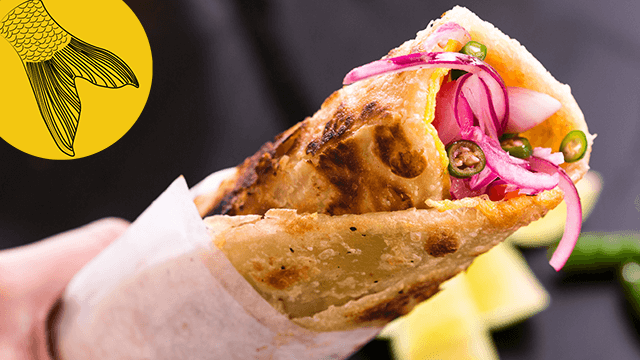 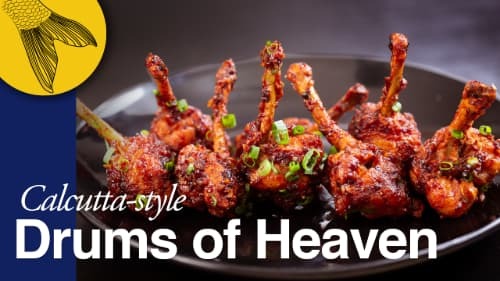 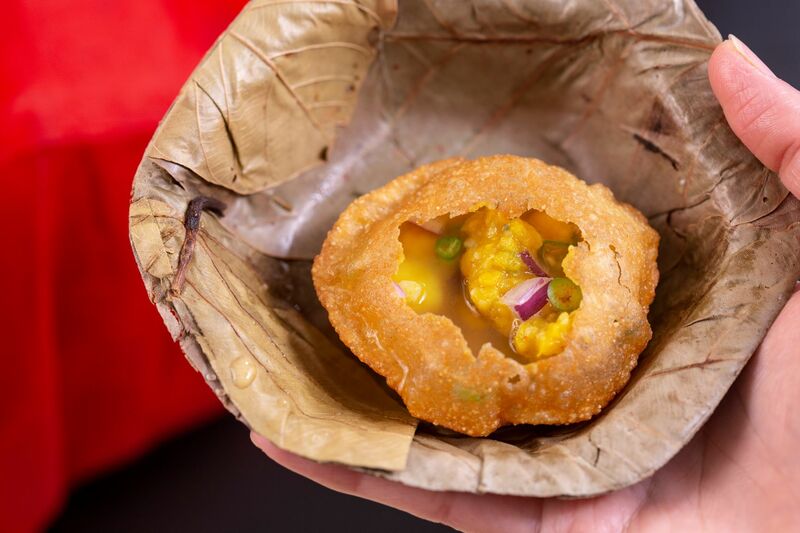 This crispy, tangy, savoury 'chaat' is a popular Calcutta street food dished out by phuchkawalas and is super easy to make. 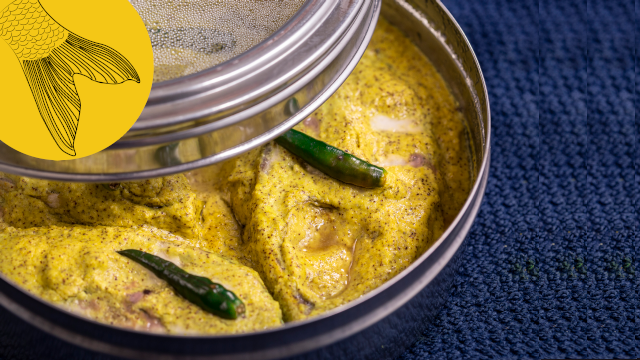 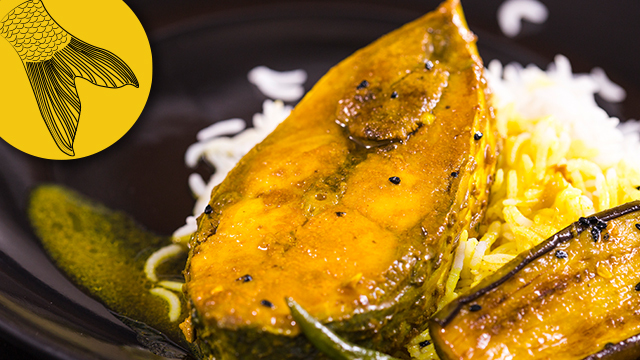 A hearty Bengali Ilish (Hilsa) curry that takes just six ingredients and 30 minutes to cook. 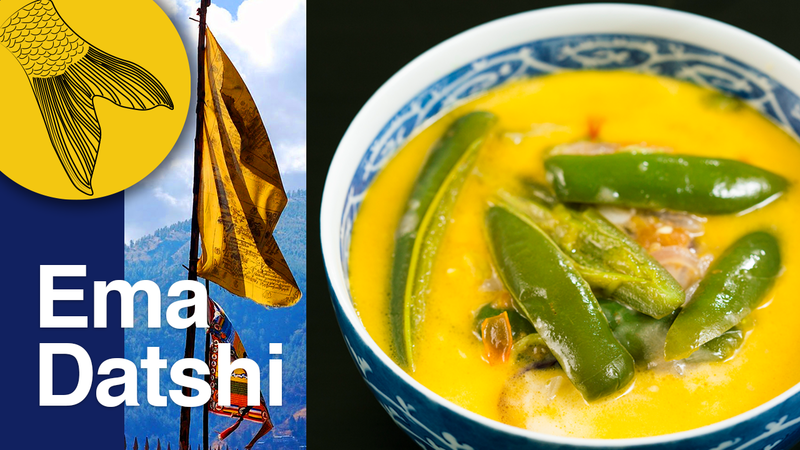 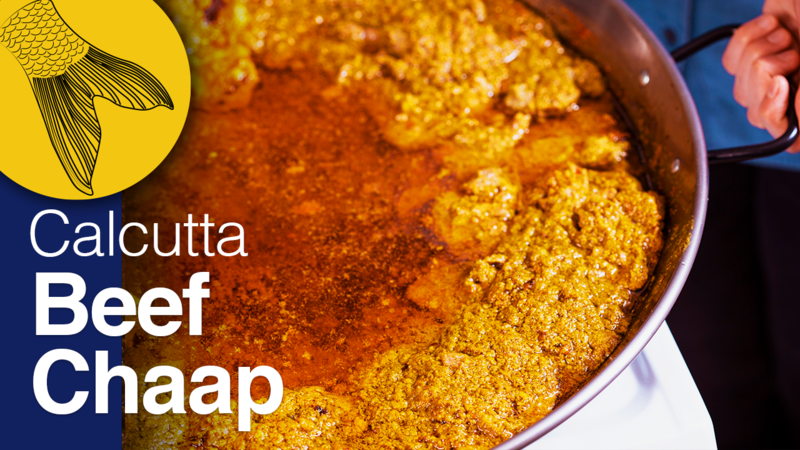 Ema datshi, the national dish of Bhutan, is an easy-to-make, hearty soup with chilli peppers (‘ema’) and cheese (‘datshi’). 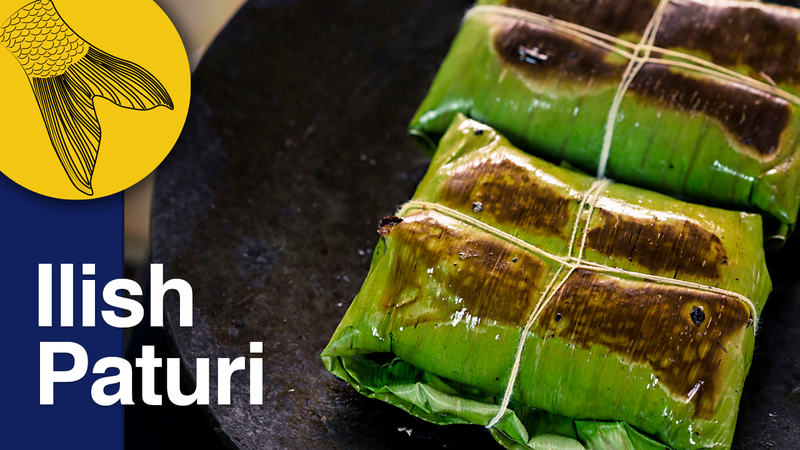 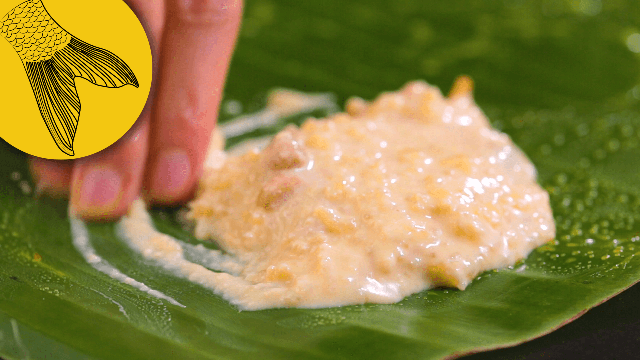 This recipe for hilsa in mustard sauce, steamed in banana-leaf parcels, involves only nine ingredients and is very easy to make. 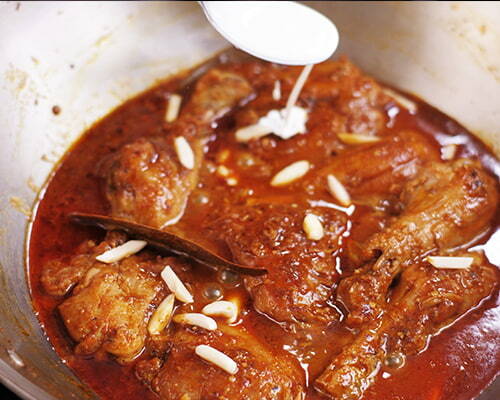 A slow-cooked stew of meat, grains, and pulses. 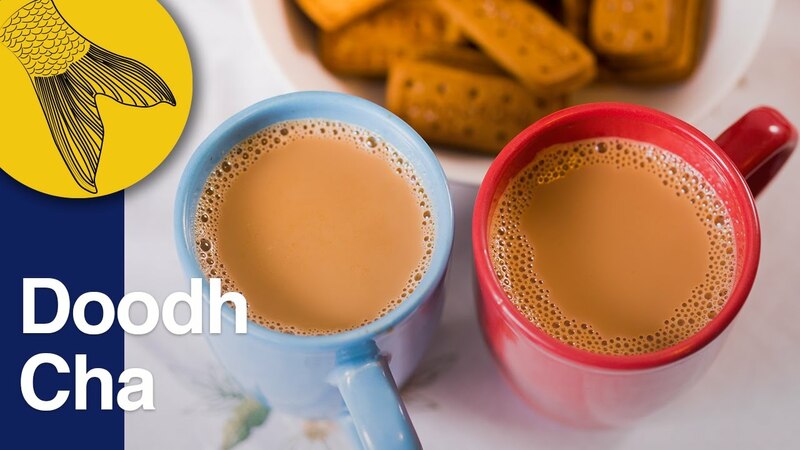 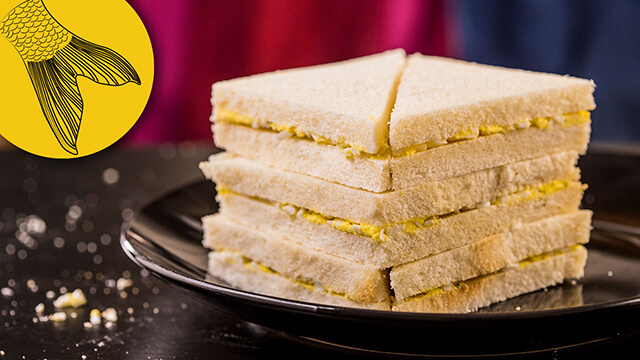 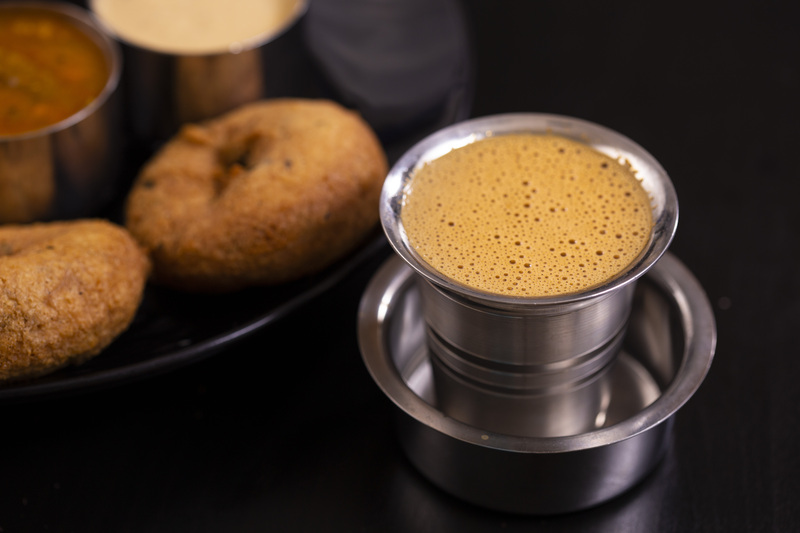 These light and airy egg sandwiches à la Calcutta Coffee House make the perfect snack to accompany an evening cup of tea or coffee. 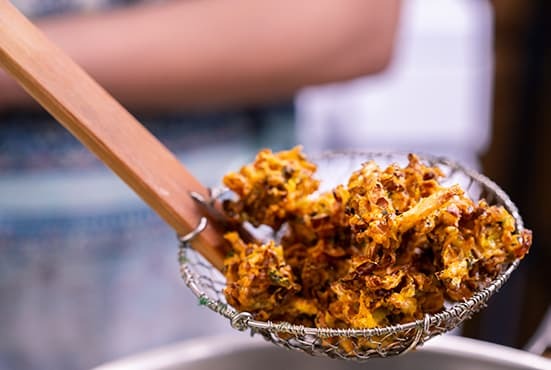 A step-by-step recipe that walks you through the process of making the perfectly fine, crisp, golden potato fries every single time. 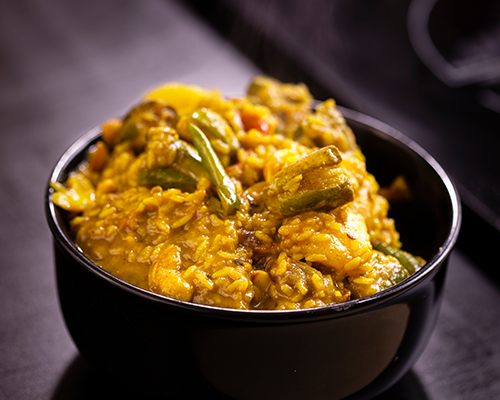 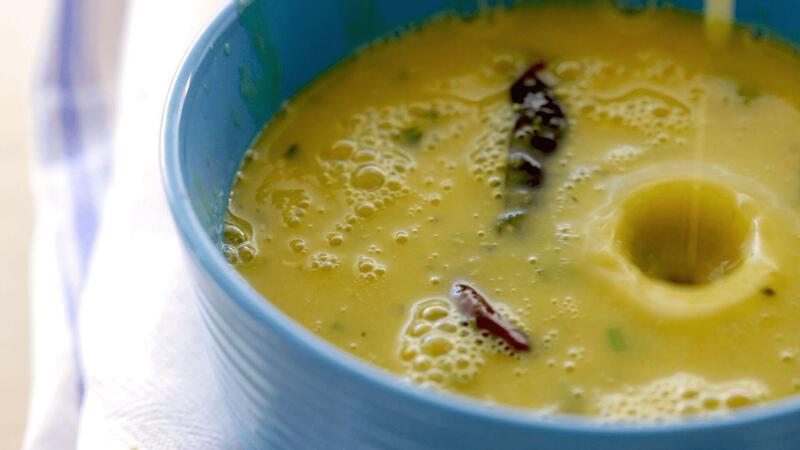 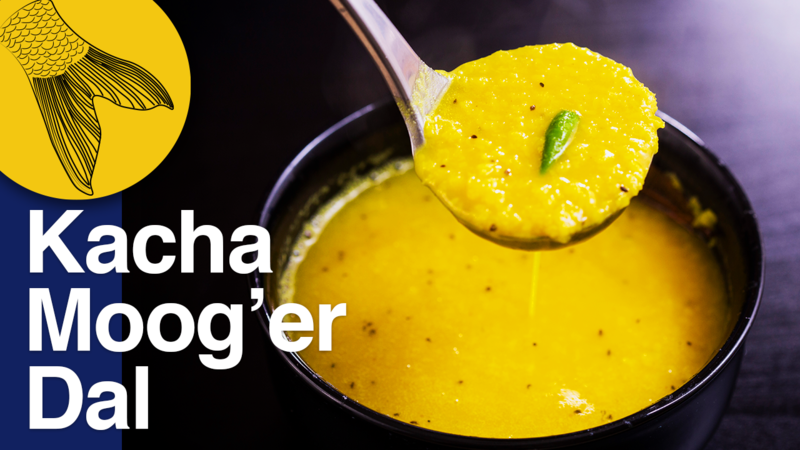 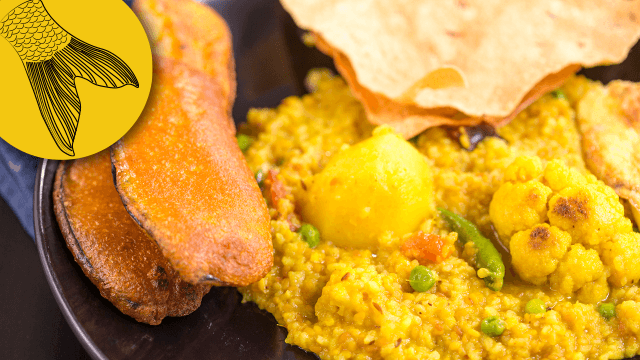 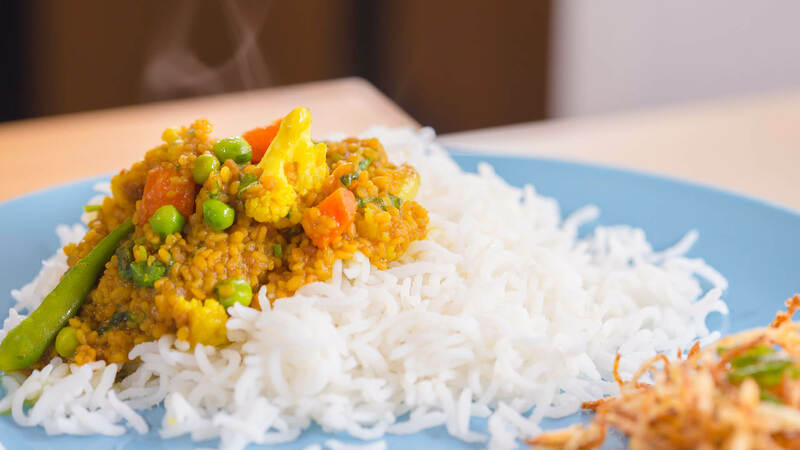 A gorgeous-looking traditional Bengali vegetarian dal with roasted yellow mung beans, simmered with cauliflowers, carrots and peas. 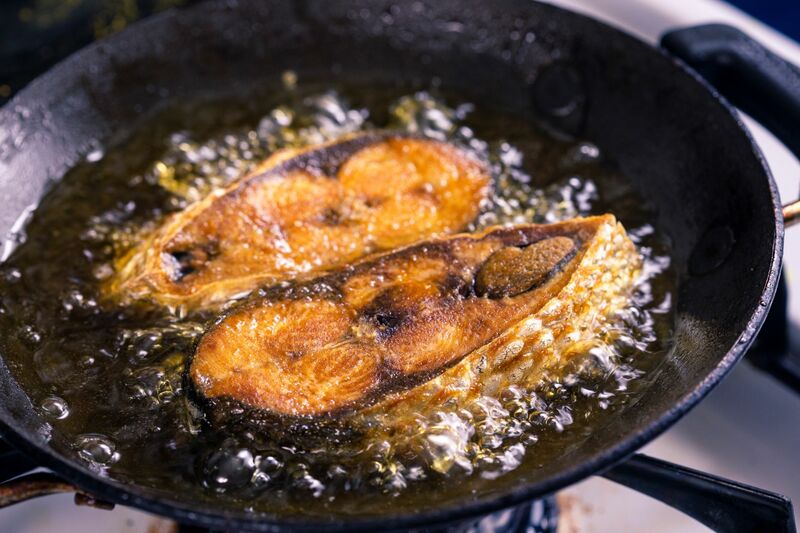 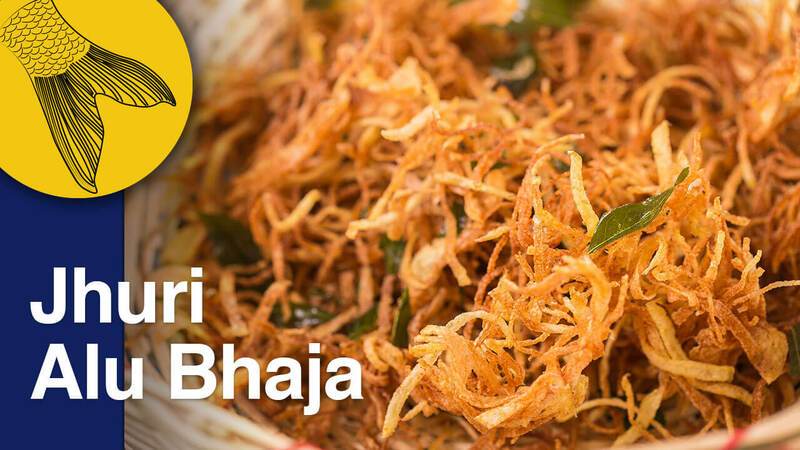 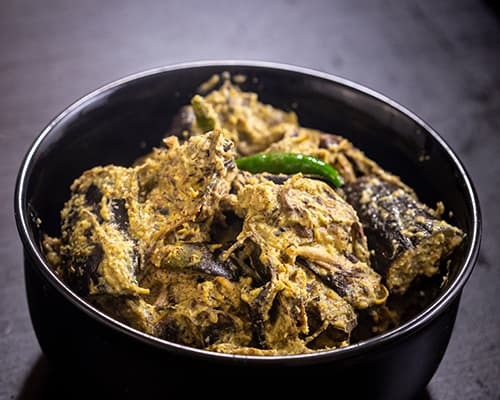 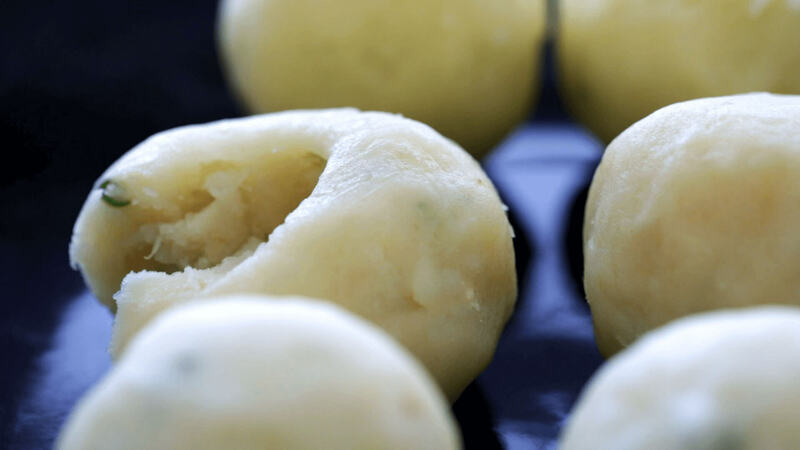 Begun or baingan bhaja is a Bengali vegetarian recipe of shallow-fried eggplant disks. 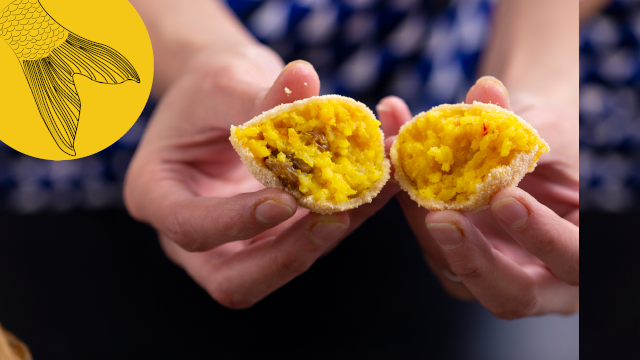 Crunchy outside, soft inside. 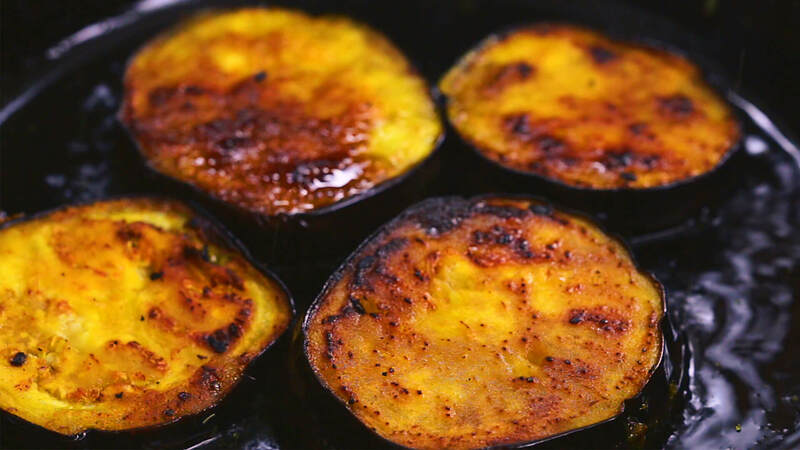 Cooks in 15 minutes! 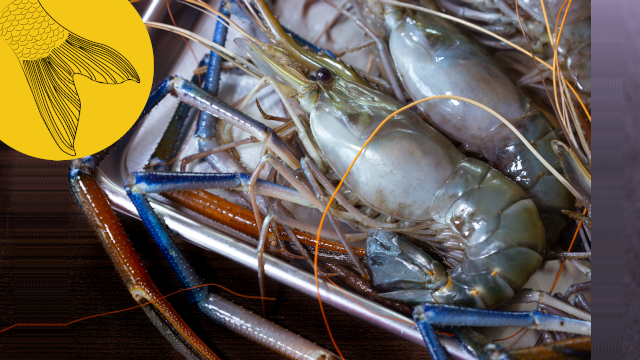 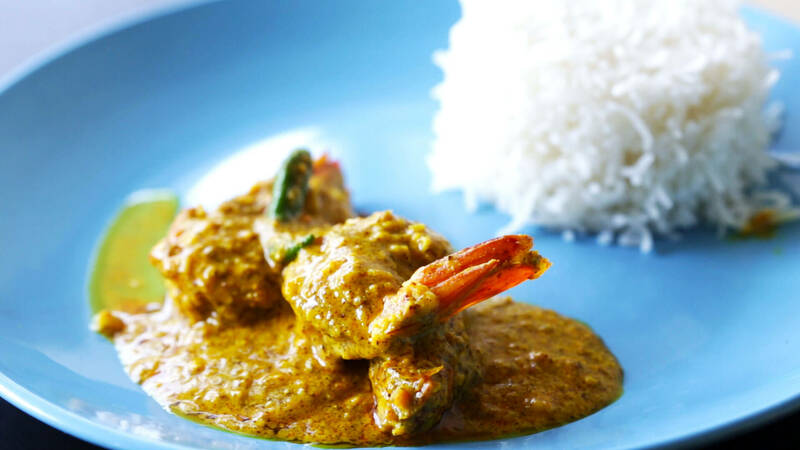 A traditional Bengali dish of Prawns or shrimps steamed in a sharp mustard and yoghurt sauce. 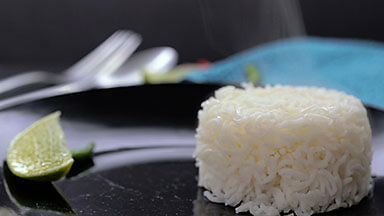 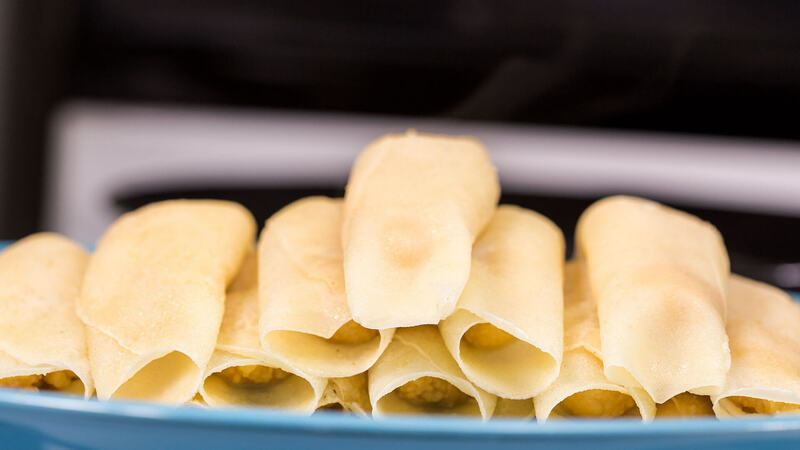 Takes just 5 minutes to cook in microwave! 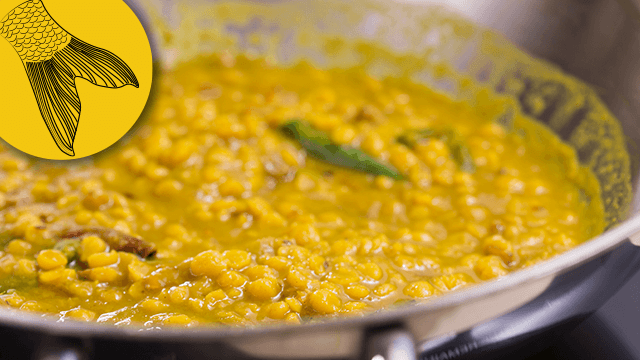 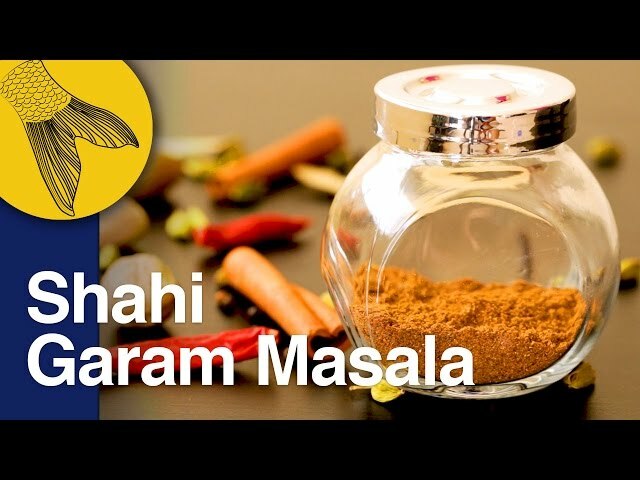 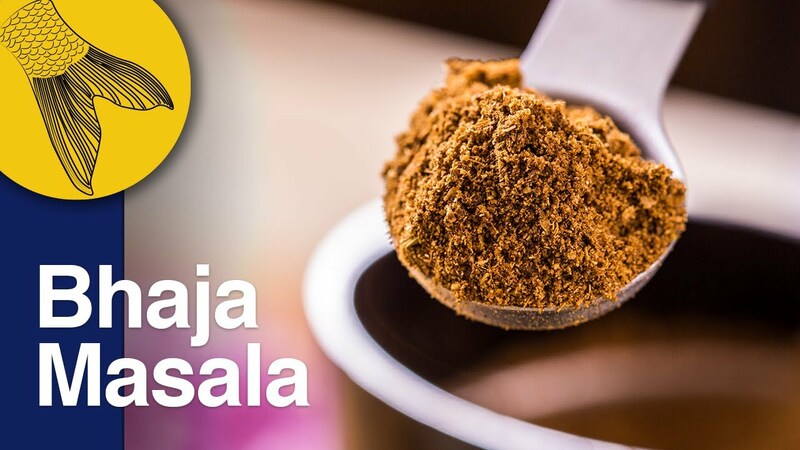 Video recipe for traditional Bengali masoor dal tempered with nigella seeds and coriander. 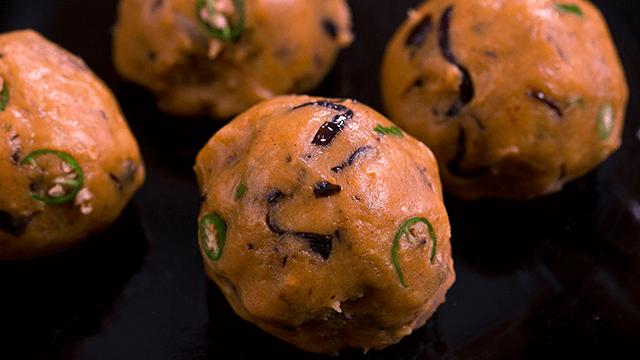 Takes 30 minutes to cook and tastes hearty. 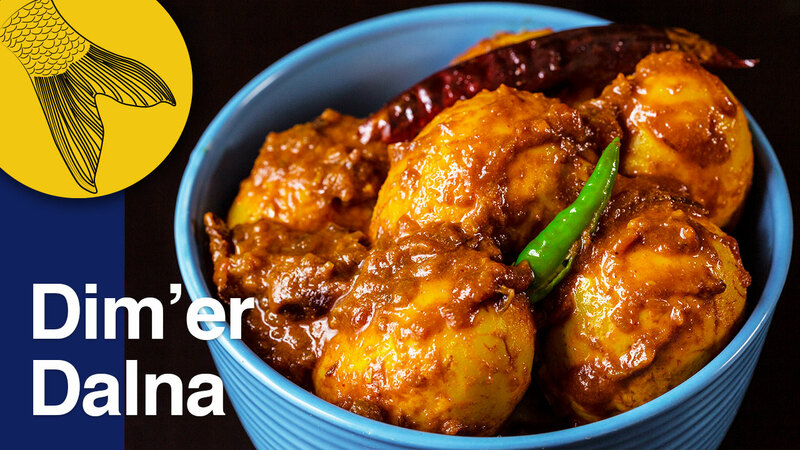 The ultimate Bengali egg curry made with duck eggs-boiled, fried golden, then cooked in onion-garlic-ginger-tomato-garam masala sauce.